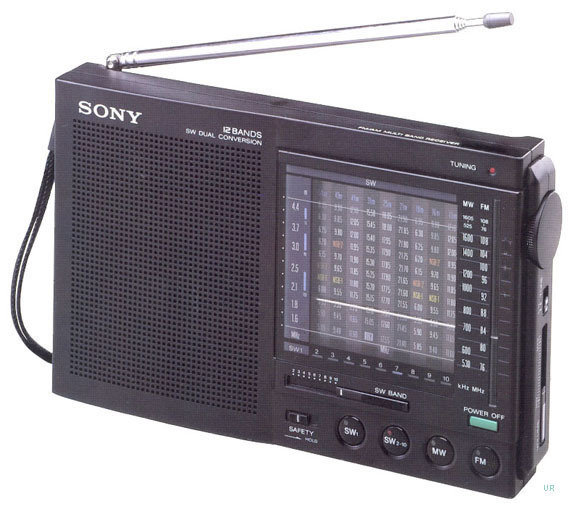 The Sony ICF-7601 portable receiver covers AM, FM (76-108 MHz) and ten shortwave bands. This dual conversion portable has an analog dial. Shortwave coverage is: 2200-4200, 4600-5200, 5800-6400, 6900-7500, 9400-10000, 11550-12150, 13450-14050, 15000-15650, 17500-18150 and 21350-21950 kHz. The radio features a 3.125 inch (7.7 cm) speaker, tune LED, power lock button, and three way tone switch. 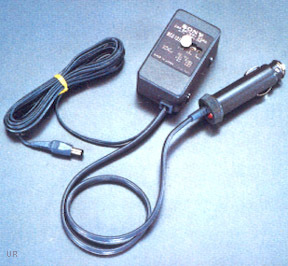 There are jacks for earphone, record output and 6 VDC input. 7.675 x 4.675 x 1.5 inches. 21 oz. Requires four AA cells (not supplied). Supplied with cloth carrying case, AN-61 wind-up wire antenna and earphone. The Sony ICF-7601L adds longwave coverage from 145-285 kHz, but does not have 2200-4200 shortwave coverage.